Over the past two weeks, I feel like I've done only 3 things: feed, burp and change my little Olivia. Every 2-3 hours, we are back to the same rehearsal! I'm not complaining; I love the bonding time. But sometimes, it's also good for my physical and mental health to have a little "me time". 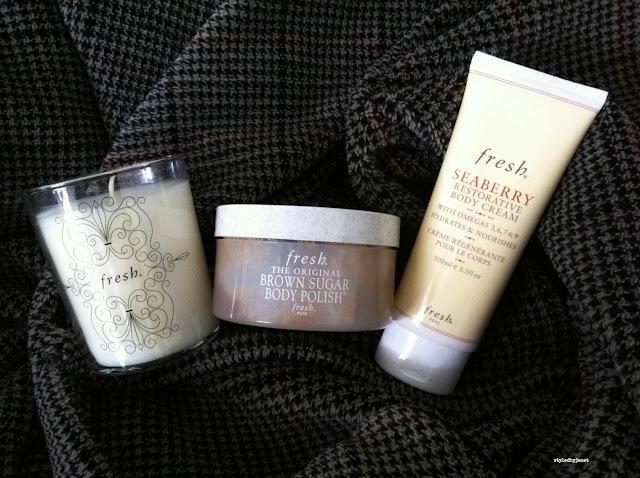 And yesterday, I had a little "me time" with Fresh! ps. The SAKE candle was so sweet and intoxicating...almost better than the real thing itself! Which also reminds me that I really need a good sushi fix soon!